Used primarily in applications with modems, serial cables are designed to transfer information between two devices using a serial communication protocol. They can also be used as reliable data transfer cables for various applications. These serial and modem cables are ideal for the discerning network professional, as they’re made with high-quality components that ensure a steady and reliable signal. At CableWholesale, you’ll find high-quality yet affordable plotter cables, null modem cables, and serial cables in bulk for all of your networking needs. Our selection includes DB9, DB37, DB25, RS232, RJ45, and RJ12 cables. Need dependable modem cables? Our AT modem cables and null modem cables are great options. 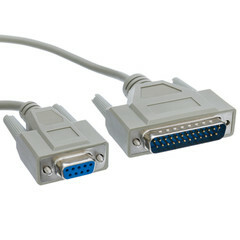 AT modem cables are ideal for connecting 25-pin serial devices to laptops, computers, and interface cards with 9-pin serial ports, whereas null modem cables can be used to transfer data directly from one PC to another. 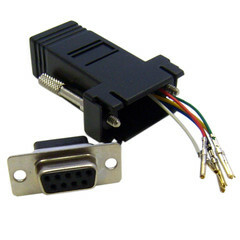 You can also use our DB25 cables to connect to devices with a 25-pin serial card, and our DB37 cables to connect to devices that connect to 37-pin ports. Explore our selection of DB9 serial cables to find UL-rated and RoHS-compliant cabling, or use our HP plotter cables to connect your HP plotter printer. It doesn’t matter what kind of serial modem cable you’re looking for; you can trust the quality of CableWholesale products. Most of our bulk serial cables are made with molded connectors and gold-plated contacts for superior resistance and a reliable connection. Plus, we back our serial cables with a lifetime warranty to ensure that you get a high-quality product with minimal risk. CableWholesale offers many serial cables in varying lengths, with volume discounts available for large jobs.